Kepler Space Institute is dedicated to the expansion of human civilization from Earth into space. We believe this is necessary, both to acquire resources – based on the Law of Space Abundance to provide the fundamental needs of preserving peace and prosperity for humankind on this planet – and to extend life through our solar system and beyond. Their name honors Johannes Kepler, whose findings on planetary motion in the early 17th Century formed the basis for the scientific discipline he called “celestial physics.” Their aim is to support research, exploration and development of space resources in any way we can, but primarily through creation of a global, online space institute that would provide a comprehensive education for those seeking to fulfill the same mission. The National Space Society (NSS) is an independent, educational, grassroots, non-profit organization dedicated to the creation of a spacefaring civilization. Founded as the National Space Institute (1974) and L5 Society (1975), which merged to form NSS in 1987, NSS is widely acknowledged as the preeminent citizen’s voice on space. NSS has over 50 chapters in the United States and around the world. The society also publishes Ad Astra magazine, an award-winning periodical chronicling the most important developments in space. 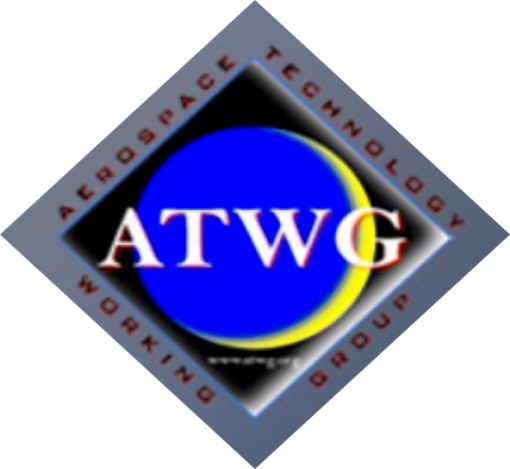 The Aerospace Technology Working Group (ATWG) was established by NASA in 1990 as a study group examining program design, operations, and policy. It was led by Dr. Kenneth Cox from its inception, and following Dr. Cox’s retirement from NASA in 2005, ATWG continued to operate as an independent entity. With the impending retirement of the Space Shuttle, the maturation of the International Space Station (ISS), and the clear necessity for the American space program to shift to a new stage of development, ATWG was an Aerospace Innovation Center whose purpose was to provide insight and disciplined new perspectives, objectives, and implementing methodologies to all participants in the aerospace community, specifically focusing on bridging the gap between the generations, and enabling senior and retired aerospace veterans with effective methods of contributing their vast policy, design, innovation, engineering, and management expertise to new and emerging needs and projects in the public and private sectors. The Lifeboat Foundation is a nonprofit nongovernmental organization dedicated to encouraging scientific advancements while helping humanity survive existential risks and possible misuse of increasingly powerful technologies, including genetic engineering, nanotechnology, and robotics/AI, as we move towards the Singularity. Lifeboat Foundation is pursuing a variety of options, including helping to accelerate the development of technologies to defend humanity such as new methods to combat viruses, effective nanotechnological defensive strategies, and even self-sustaining space colonies in case the other defensive strategies fail. 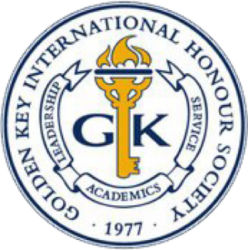 The Golden Key International Honour Society is an Atlanta, Georgia-based non-profit organization founded in 1977 to recognise academic achievement among college and university students in all disciplines. Golden Key exists to unlock and enliven excellence within its membership. With a unique focus on the areas of Academics, Leadership and Service, they are a society of support, of community, of vision and of promise. Golden Key is the the key to achieving your personal, professional, and altruistic goals. 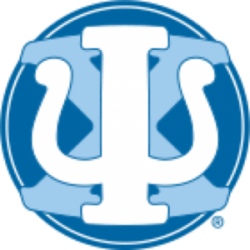 Psi Chi (ΨΧ) is the International Honor Society in Psychology, founded in 1929 to encourage, stimulate, and maintain excellence in scholarship of the individual members in all fields, particularly in psychology, and to advance the science of psychology. Psi Chi mission is to recognize and promote excellence in the science and application of psychology. It is one of the largest honor societies in the United States, having more than 1,100 chapters. Psi Chi’s symbol is based on the Greek letters psi and chi, which have been used for decades in the Psi Chi induction ritual to express the Greek words psycheand cheires, which in turn symbolize mind (scholarship and the enrichment of the mind) and hands (fellowship and cooperation in research).